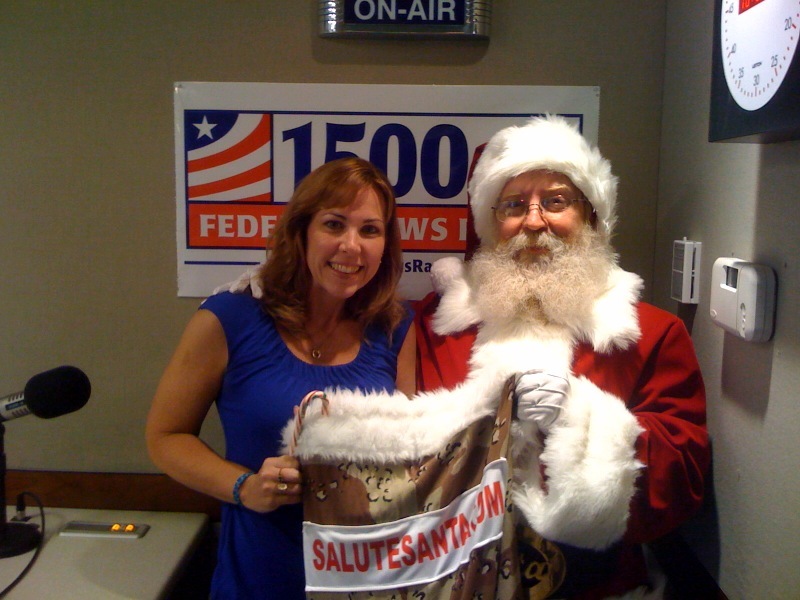 Santa Claus came to Federal News Radio 1500 AM this morning — yes, a bit early, but… it’s all for a good cause. For the past three years, Microsoft Federal the the USO of Metro DC have led a program called A Salute to Our Troops. The program is dedicated to recognizing and thanking service men and women for their commitment by providing… well, some fun for them and their families. The past two years, the focus has been on New York — Microsoft bought out Radio City Music Hall for a performance of the remarkable Christmas Spectacular. This year, the Rockettes are on the road — including a trip here in Washington, DC — and Microsoft is hosting a performance at DC’s Verizon Center. And Federal News Radio and the Washington Capitals are participating through the Courage Caps program — and on Nov. 11th, 50 wounded soldiers will be treated to a special Veteran’s Day Capitals game. Microsoft and the USO of Metropolitan Washington will kick off the third season of the annual A Salute to Our Troops program on Wednesday, Sept. 23 with some help from Santa Claus. On Wednesday morning, Santa will be traveling around Washington DC on a pedicab, giving out goodies from his sack and promoting the A Salute to the Troops program. After lunch, he will meet up with the Radio City Rockettes near the White House as they then travel together to see some DC sites and head to Fort Myer, Virginia for a meet and greet with troops and to kick off the excitement for December’s Radio City Christmas Spectacular show, which is coming to D.C. This year, A Salute to Our Troops will take place in Washington, DC and will include multiple activities to brighten the season for U.S. troops and their families. Activities will range from an Operation USO Care Package day with the Washington Capitals and WTOP/WFED Radio; to the USO of Metropolitan Washington “Courage Cap” program which will be announced at a special game of the Washington Capitals where 50 wounded warriors will be in attendance. Finally, in keeping with the USO tradition of entertaining the troops, on Sunday, December 20(th), Microsoft will treat 8,200 troops and their families to a private showing of the Radio City Christmas Spectacular starring the Rockettes at DC’s Verizon Center. Ticket information can be found at http://www.salutesanta.com. Founded in 2007 by Microsoft in cooperation with the USO of Metropolitan New York and USO of Metropolitan Washington, A Salute to Our Troops program honors the many faces of courage and inspiration belonging to individuals who demonstrate selfless dedication to our country. For more information on the 2009 A Salute to Our Troops program, visit: www.salutesanta.com. Santa Claus is coming to town early this year! In fact, he’ll be travelling around Washington D.C. tomorrow morning, handing out goodies to promote the 3rd annual A Salute to Our Troops program. A Salute to Our Troops is dedicated to recognizing and thanking our service men and women for their commitment to our country by providing entertainment for them and their families. Microsoft created the program in partnership with the United Service Organization (USO),and the conclusion of this year’s program will include a complimentary showing of Radio City Music Halls’ Christmas Spectacular at the Verizon Center for 8,200 troops and their families. We are so excited to bring the program to D.C. for the first time this year, and we hope that through highlighting the courageous stories of our service men and women that we can inspire others to get involved and volunteer. The event is always such a great time, and the Washington Capitals will be adding to the fun this year through the Courage Caps program. On November 9th, the USO is partnering with WTOP/Federal News Radio and Capitals players to stuff care packages for our warriors overseas, and 50 wounded soldiers will be treated to a special Veteran’s Day Capitals game on November 11th. Santa’s visit tomorrow morning officially kicks off this year’s festivities. After his tour through downtown, he’ll be meeting up with the Radio City Rockettes near the White House to do some site seeing before heading to Fort Myer, Virginia to visit with troops. If you spot him, let us know on Twitter (@FutureFed #salutesanta) and take a photo and send it to salutesanta@live.com for a chance to win a prize! 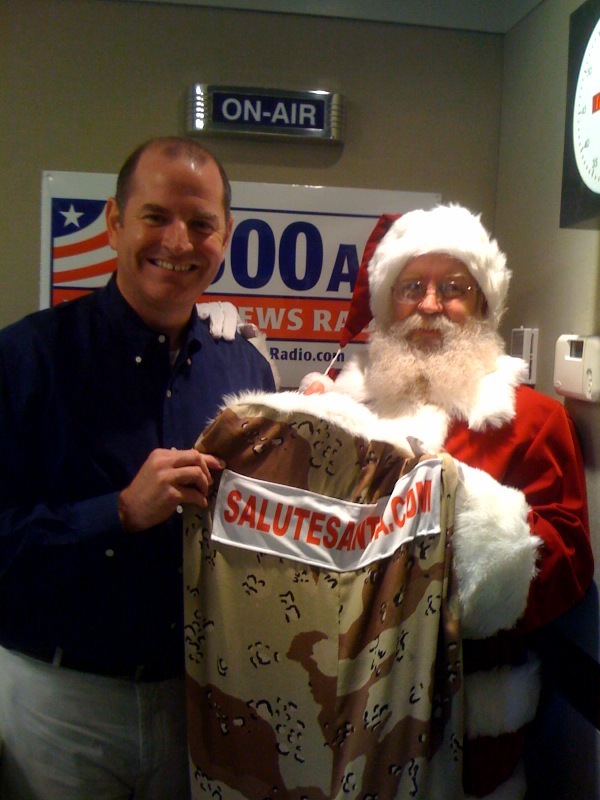 Tomorrow I’ll post some photos of his tour, but in the meantime, visit SaluteSanta.com to get involved!